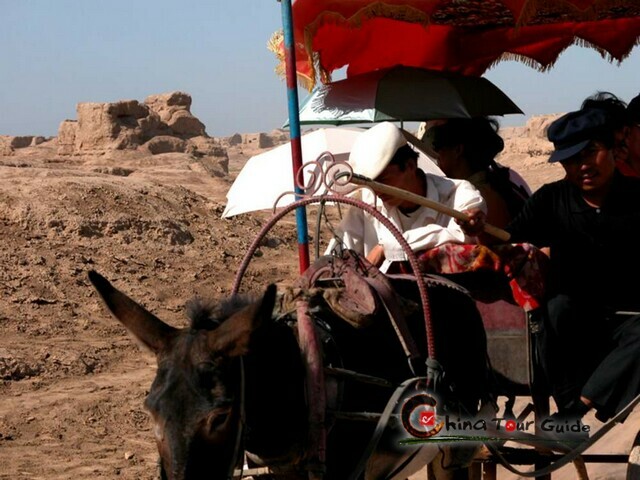 The Emin Pagoda or Su Gong Ta is located some 2 kilometers (1.2 miles) to the east of Turpan. 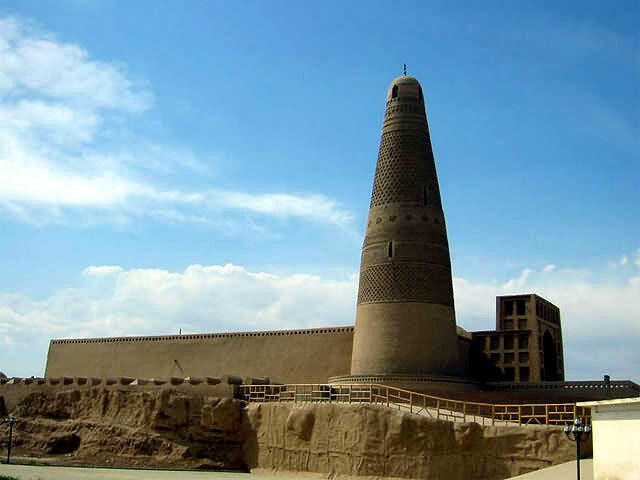 It is an elegant-shaped Muslim minaret built in 1778 in honor of a great Turpan general, Emin Khoja, and his great contribution to the unification of China. 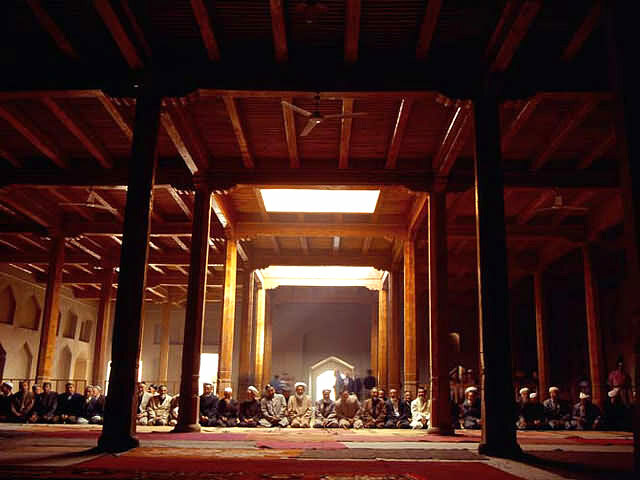 It is very popular among local Muslims and visitors alike, throngs of whom come to visit it all year around. Emin Pagoda is a unique style pagoda in Xinjiang. A meeting is hold inside of the Emin Pagoda. The Emin Pagoda was constructed by local craftsmen using local materials. The structure itself is made of wood and brick. It is an elegant, circular, tapered Islamic dome, with a diameter over 40 meters (144 feet) at its base and tapering to only 2.8 meters (9.2 feet) at the top. The exterior is made up of sun-dried yellow bricks that narrow in shape as the tower rises. Fourteen elongated windows open at different levels and directions to allow the building to get enough sunshine and ventilate properly. The richly textured bricks are carved into intricate, geometric, and floral mosaic patterns, such as stylized flowers and rhombuses. 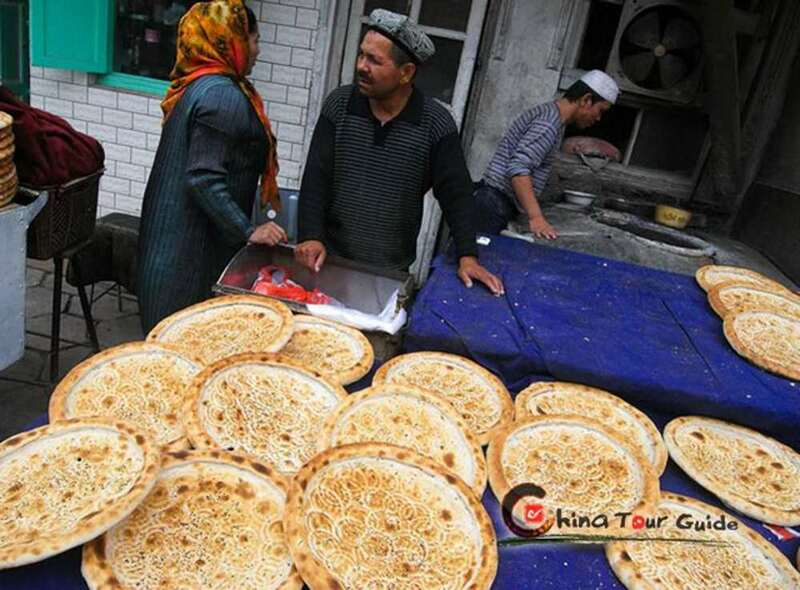 This mixture of Chinese and Islamic features is seen only in minarets in China. 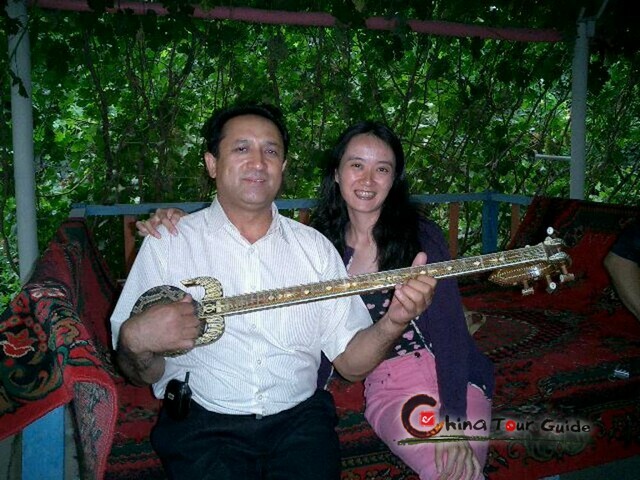 These special patterns are also the highlights of the art of the Uygur ethnic group.